SuperBlimp is a Creative Production Studio offering Animation, VFX, Illustration, Design and Directorial Services. SuperBlimp is a Creative Production Studio operated by a passionate group of directors, combining decades of experience in advertising and entertainment. Working with some of the industries top talent, they’ve earned a strong reputation for sharp, focused and compelling work, including projects for innovative brands including DJI, Dassault Systems and Mercedes to entertainment experiences for Derren Brown. We believe in challenging tried and tested story conventions, finding new and interesting ways to excite and inspire the audience with visceral imagery and meaningful stories. We treat our clients’ work in the strictest of confidence, especially where Non-Disclosure Agreements are involved. 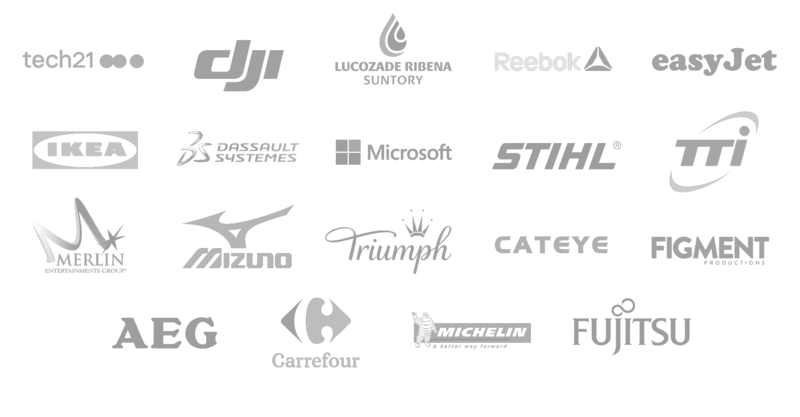 We can, however, reveal a few of the many prestigious brands we have worked with over the years. See our Showreel for a taster of the work we have done for them, Get in touch to discuss your project requirements and how we can help.